Sant Ferran is a picturesque village located in the center of Formentera, it was once a meeting place for hippies. Here is the historic restaurant Fonda Pepe. Sant Ferran de Ses Roques (San Fernando) is located in the center of the island and is a small village with some famous historical places. It was the reference point of the hippie movement in the sixties; today it is still an alternative tourist destination and place where they made ​​numerous cultural events, such as theatrical performances and concerts. In the square of Sant Ferran many young people of the island gather to spend the evening with friends, drinking, chatting and playing bongos. 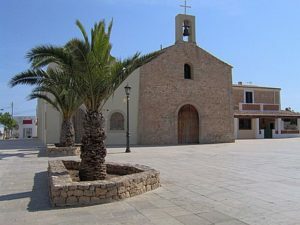 Also in the square there is a small stone church, built about two centuries ago, that shows the ancient origins of this village which takes its name from King Fernando II of Aragon said the Catholic. In Sant Ferran one of the most famous places of Formentera is located, the restaurant Fonda Pepe, already opened in the 60s and it was the center of the hippie movement of the island. Since then it is a destination for those who want to live again the atmosphere of the flower children, as this is one of the places that has withstood the changes of time. In Sant Ferran, at km 6.2, there is the Cuevas d’en Geroni, a natural cave with underground tunnels discovered accidentally during excavation to build a water well in May 1975 and, according to scientific studies, it dates back to about three million years ago. You can visit and observe the classic formations of stalactites and stalagmites, but the most unusual thing to be highlighted are the roots of plants of the garden of a restaurant, located just above the cave, which are even managed to penetrate the soil and enter the cave itself, giving rise to fake stalactites hanging from the ceiling. The temperature inside the cave is constant and is equal to about 20°C all year round and its moisture level never goes below 80%. 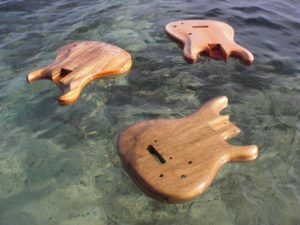 In Sant Ferran there is a renowned guitars and basses workshop, the Formentera Guitars, which can boast of having served international musicians like Pink Floyd, King Crimson and Chris Rea. Each year, from more than 20 years, it allows 7 young people to take part in an original working holiday in which, for about two weeks, are devoted to the realization of their musical instrument in a completely artisan way with high quality wood. Truly unique is the rite of carpentry that has become in recent years the seal of the production made in Formentera: the pupils of the course, after completing various processes, make the wood necessary for the realization of guitars soaked in the clear waters of Formentera and then leave it dry in the sun. In this way, in the opinion of the experts, the wood will be protected from degradation time. From the village of Sant Ferran you can reach the picturesque resort of Cala En Baster. There are long timbers used to carry fishermen’s boats to the sea, but, unlike those seen in many other parts of the island, do not end in wooden houses but in caves carved into the cliff walls. 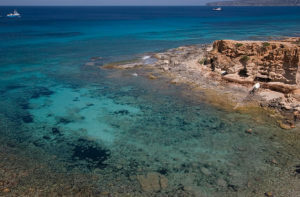 The sea that washes this rocky beach, located within the U-shaped cove, is crystal clear and turquoise and the surrounding landscape is pristine and wild. Walking along the cliff, which reaches a height of 50 meters, you can admire the view of the entire northern coast and the islands of S’Espardell and Ibiza in the background. Among the many restaurants in Sant Ferran, we recommend Mariterranea, specializing in paella and the pizza place Quartieri Spagnoli where you can taste fantastic Neapolitan pizzas. On May 30th, in Sant Ferran, the feast day of the patron saint takes place.